Since Dr. Sun had never practiced medicine or surgery in Hong Kong and he had not been qualified (certified) anywhere else as a medical doctor, I have therefore not written about him in the post "Notable Doctors from the First 100 Years". I will try and do that here. My respect for this great man notwithstanding, I have always wondered what was the doctoral degree so often connected to the name of Sun Yat-sen, which had been referred to explicitly in Chinese as 孫中山博士, i.e. “docteur en (domaine/discipline)” rather than “médecin”. It would have been honoris causa since he had not engaged himself in any further education than the HKCMC licentiate. I hope one day, soon, I will be enlightened with the answer. Medicine wasn’t Sun Yat-sen’s first choice of occupation. It was military, and then followed by the legal profession. But these, by and large opened only to sons of upper class families, were not to be for him because of his humble peasant background. Clearly, it was the same with the noble profession of medicine practice. But, the situation was to be quite different once he became baptized and proclaimed a Christian. The medical community in China and Hong Kong at that time was dominated by Christian medical missionaries and it wasn’t difficult for the missionaries to open doors for one of their bright new converts, poor family background notwithstanding. Sun studied medicine and surgery for six years including one year in Canton and five more years in Hong Kong. He was one of the first students to enroll in the Hong Kong College of Medicine for Chinese when it opened in 1887, and became Hong Kong’s first medical school graduate in 1892 --- with distinctions. All his life, he but practiced medicine for two years, and it wasn’t in Hong Kong. In spite of the fact that the college staff had included the Colonial Surgeon, the most senior medical and health officers in the colony, as well as founders of the British Medical Society Hong Kong and China Branch; and the fact that Sun’s Licentiate of Medicine and Surgery certificate was handed to him by Governor William Robinson, Sun was denied a license to practice in Hong Kong. There might be a hidden agenda of the political sort as Sun was becoming more vocal about his discontentment toward the Qing government, but the official reason for not licensing his professional attainment was that L.M.S.H. holders are not qualified to register as medical practitioners under the Medical Registration Ordinance 1884. If not for the following story, Dr. Humphreys’ legacy would simply be that he was an operator of A.S. Watson in the 1870s and 80s. The pharmacy firm was leased in 1871 to Dr. Humphreys and his partner, Dr. Arthur Hunt, by the Watson family for their operation. 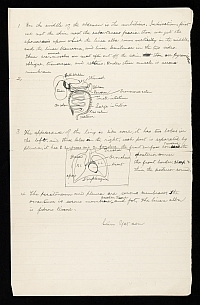 Then, about eighteen to nineteen years after he took over the operation of A.S. Watson, Dr. Humphreys felt gravely ill in Hong Kong and was attended to by Dr. James Cantile, who was at that time the Dean of the Hong Kong College of Medicine for Chinese. Dr. Cantile saw that the patient required overnight attendance and had therefore arranged two of his best students, who were also in need of some financial aids, to do the job. The two were Sun Yat-sen and Kong Ying-wah 江英華. Kong came from a poor family in Hong Kong and needed to work to pay for the tuition while Sun depended on his brother, financially, who lived in Honolulu and periodically wired money to Hong Kong. The remittance from Hawaii wasn’t always in time. Upon Dr. Humphreys recovery, he made a sizable donation to the College that would be used as scholarships. More particularly, he named Sun and Kong the recipients for scholarship; additionally, there was a monthly allowance of HK$12 to be paid to each of them. Twelve students enrolled in the college when it opened in 1887, only two graduated with L.M.S.H. 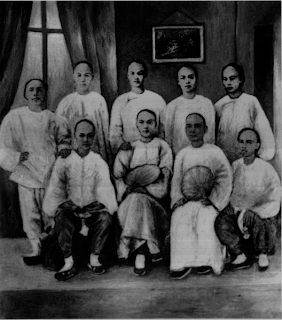 (the "H" stands for Hong Kon) in 1892; they were Sun Yat-sen (twenty eight years of age) and Kong Ying-wah (twenty-one). Notwithstanding anything in this Ordinance contained every present and every future licentiate of the Hong Kong College of Medicine shall be entitled to practice medicine and surgery and to demand and recover reasonable charges in respect of such practice: Provided that no such licentiate shall be entitled to sign any certificate required for the purposes of the Births and Deaths Registration Ordinance, 1896, unless he has been authorized thereto by the Governor. And then, there was the Robinson arrangement. William Robinson 羅便臣 (b. 1836 - d. 1912) was the eleventh governor of Hong Kong (1891-1898) and when he learned that Sun and Kong could find no jobs in the Colony, he wrote to Nicholas Robert O' Conor, the British Minister Plenipotentiary in Peking and asked of him to recommend the two young medical college graduates to Li Hongzhang 李鴻章 (b. 182 3- d. 1901), Qing Imperial Minister of Beiyang 北洋大臣 (1871-1895). In O’Conor’s recommendations, the two were praised as diligent and outstanding students and that they would be good men to work for Li. The response from Li’s office was both quick and favorable: the two were to report to Peking immediately and wait for actual appointments; meanwhile, they were to receive a monthly allowance of HK$50; and finally they were to receive each a Military Badge of the Fifth Grade of Imperial Commission 欽命五品軍牌 so that these young men would command a much higher level of respect from others normally not accorded to people of their age. With no delay, Dr. Cantile took the two to Canton to see British Consul General Chaloner Alabaster, who then arranged a meeting with De Shou 德壽, Viceroy of Liangguang 兩廣總督 (Viceroy of Guangdong and Guangxi) to receive the Military Badges. The Viceroy required the two to submit their resumes to include information pertaining to their fathers, grand- and great grandfathers. Sun, somehow, rationalized this an impediment laid by Qing officialdom and promptly returned to Hong Kong with great irritation. Kong had no choice but to follow suit. Such was a critical episode of the modern Chinese history. If Sun did go to Peking, would the republican movement be the same, or would it not? Some explanations may be needed as to why Robinson, a busy man himself, intruded upon a man many times busier than he was – the most powerful Han officials in the Qing government - to find jobs for two young Chinese from Hong Kong? There are two reasons. First, Li was the Patron of the Hong Kong College of Medicine for Chinese from 1889 until he died in 1901. Second, Li was building his team of medical doctors of Western discipline, persons of Chinese descent including; Robinson would be doing Li, and himself, a favor by sending the “first crop” of the college. It was an excellent opportunity to show off what British Hong Kong was capable of. Gentlemen,—I am in receipt of your letter informing me that I have had the honor of being elected Patron of your College. I also thank you for your desire to perpetuate my name on your College walls. I wish every success to your benevolent design. 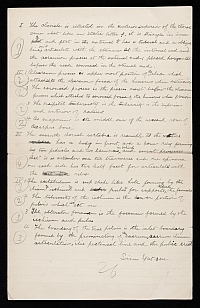 I learn that there are between 20 and 30 students in the College studying medicine, and consider it most proper that they should also pay attention to the sister subject of chemistry and understand how to compound and how to analyze, thus ensuring greater accuracy in the diagnosis of disease and the preparation of remedies. I remark that your countrymen devote themselves to practical research and base their scientific principles on the results of investigations, thus differing from those who rest content with theories. The happy results which ever attend the treatment of disease on scientific principles are evidence of the advantage to be derived from the constant study of anatomy and chemistry and the consequent illumination of the dark path of knowledge. There is no doubt that when your admirable project is achieved it will be appreciated and imitated, and that it will, through your students, be a blessing to China. Although I may never find out exactly what caused the mishap between Sun and the office of De Shou in Canton, there is no reason why I can’t make assumptions about what might or might not be the reason behind the incident. 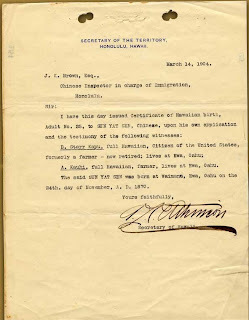 On the part of the Viceroy office, there is nothing wrong to ask for a detailed resume from each of the young men, particularly because they were sent by Robinson, and because both had untraceable background: Kong was born outside China while Sun had been absent from the country for five years. It is a simple matter of background check; doctors do make good spies after all…There is also the possibility that De Shou was not happy about Robinson going over his head and wnt to Li directly; a good reason to make life a little difficult for Sun and Kong. The situation might be very different if it was Dr. Manson, in stead of Robinson/Alabaster, who contacted Li. It would then be a friendly arrangement between Li and his one-time physician Mansion, and therefore De bore no responsibility of letting the two pass through on his watch. Inquiring into one’s family tracing back to three, four generations were quite common in China, a custom that under normal circumstance should arouse no resentment; unlike what happened with Sun who went to the extreme of outburst by walking out and forfeiting the engagement. Sun may be a firebrand, but he wasn’t a reckless youth - not anymore (he was twenty eight); and he certainly received good counseling from Dr. Cantile who was with him in Canton. Nothing I read suggested that he didn’t want to go to Peking, or see Li Hongzhang. In fact, during the following years Sun had made numerous attempts to write to and ask for an appointment to see Li, but to no avail. Was his reaction primed by some other reasons? Was he hiding something from the past that he feared exposed? I have no information that points this direction. Having said that, there are some discrepancies over his birth place and date that I managed to find information on; unlike his doctoral degree that was untraceable so far. According to official records, Sun was born on November 12, 1866 in the village of Cuiheng, Xiangshan, Guangdong 廣東省香山縣翠亨村. 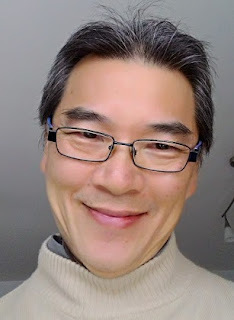 Kong Yang-wah, his fellow licentiate, pointed his age to twenty eight the year they graduated from the college, which would put his year of birth to 1964. 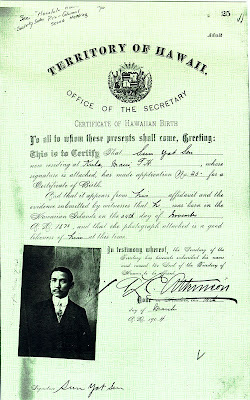 Additionally, on March 14, 1904, upon his application, the Office of the Secretary of the Territory of Hawaii issued Sun a Certificate of Hawaiian Birth that stated that he was born on November 24, 1870 in Waimano, Ewa, Oahu. The date and place of birth were provided by Sun, supported by evident and witnesses he produced. Sun lived with his brother and went to school in the Ewa and Honolulu areas in between June 1878 and July 1883. Simply, I believe, Sun needed a foreign nationality in order to move more freely evading Qing government persecution. Back to 1892 and as Peking was no longer an option, Sun, on return from Canton, made plans to open a pharmacy in Hong Kong. He shared his thoughts with Cantile and his mentor advised him to focus in finding a position where he could practice. Later in they year, Sun was invited by the Kiang Hu Hospital 鏡湖醫院 in Macau, where only Chinese medicine practitioners were available, to establish a Western medical section. His service at the hospital was on a pro bono basis initially (as I imagine he was not permitted to practice in the Portuguese enclave, but got bolder later on). Dr. Cantile continued to give whole-hearted support to Sun and would travel to Macau to assist when major operations had to be done. This is what his mentor said of Sun’s surgical ability, “he performed important operations requiring skill, coolness of judgment and dexterity.” In 1893, he opened a dispensary, named China-Western Dispensary 中西藥局, from where he also practiced while selling both Western and Chinese herbal medicines. Towards the end of 1893 Sun left Macau either voluntarily or had become a persona non grata since he could on longer practice without a license. From Macau, Sun went to Canton where there was no licensing barrier for any medical practice, Chinese or Western. A new dispensary was opened using his established brand of China-Western Dispensary, from where he treated patients uneventfully. 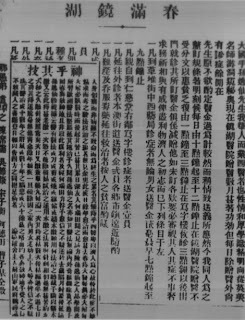 Came 1894, and after the brief he sent to Li Hongzhang outlining his concept to reform Qing China known in Chinese as the 上李鴻章書 (June 1894) was rebuffed, Sun became completely convinced that any act to revive the dynastic regime at that point of time was futile; and that a revolution, may it be bloody, resulting in a new republic state was the answer. In November 1894, he made a trip to Hawaii and whilst there he founded the Hsing Chung Hui 興中會 (the Revive China Society whose objectives had included the overturn of the Qing government) and formally became a rebel and a fugitive. Sun thenceforth ceased to practice medicine. Hello, I hope you would have some time to answer some questions for me. After some research based on stories my late father used to tell me, I believe I've finally proved his story that his grandfather was a doctor who went to school with Dr Sun Yat Sen, and he graduated 2nd in his class, while Dr. Sun was first. I was just wondering if you would happen to have some more information on Mr. Kong. Thank you for your time! Thanks for writing. I am happy to get to know the great-granddaughter of Dr. Kong Ying-wah. "Kong Ying-wah 江英華 (graduated in 1892); b.1871 South America; son of a Chinese immigrant worked as a coalminer; came to Hong Kong in 1880 at the age of nine; passed entry examination of the medical college in 1887 but unable to pay the required deposit of HK$500 which eventually was paid by James Cantile so that Kong could enroll in the college; went to Sandakan in North Borneo to practice after graduating from HKCMC and never left there." I shall be happy also to expand my research on Dr. Kong, but this will not a priority for me as I am working on so many thing all at the same time. 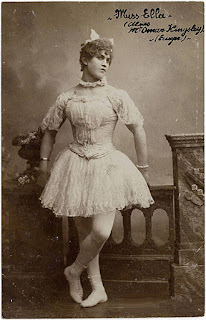 May I suggest you write to me at rudibutt@hotmail.com in future.